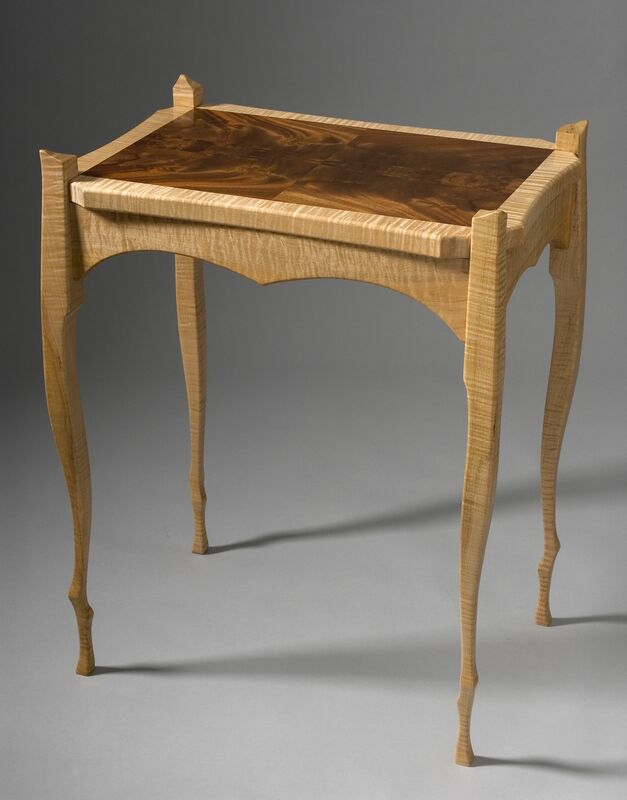 This is a contemporary version of Art Nouveau, a side table made of highly figured Eastern Curly Maple with a bookmatched Crotch Mahogany veneer. I have made this table a number of times in various woods for various prices. A personal favorite that could be used as a lamp table, an entry piece, or a small sofa table. Contact the maker for the time frame required and costs relative to the types of wood you might like this in.